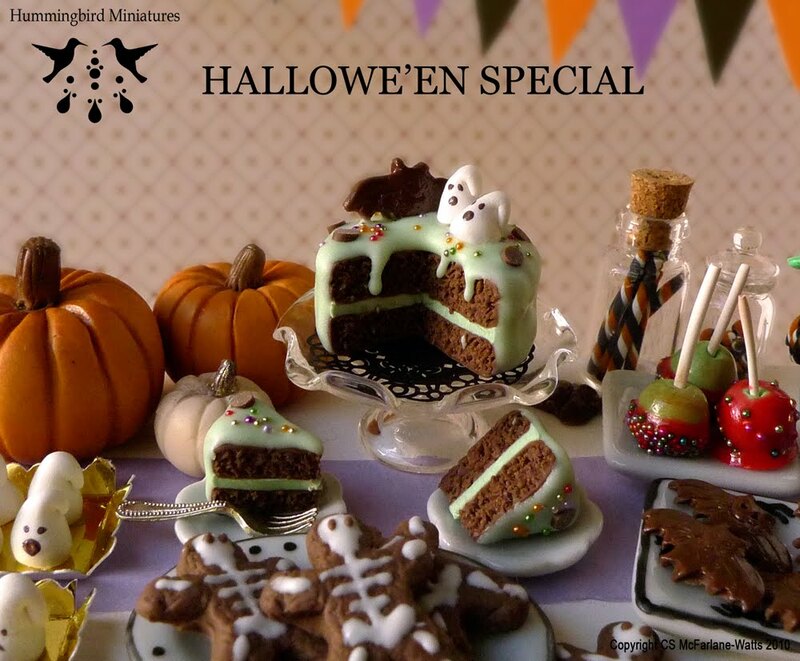 Hummingbird Miniatures: Hallowe'en has arrived for Hummingbird Miniatures! 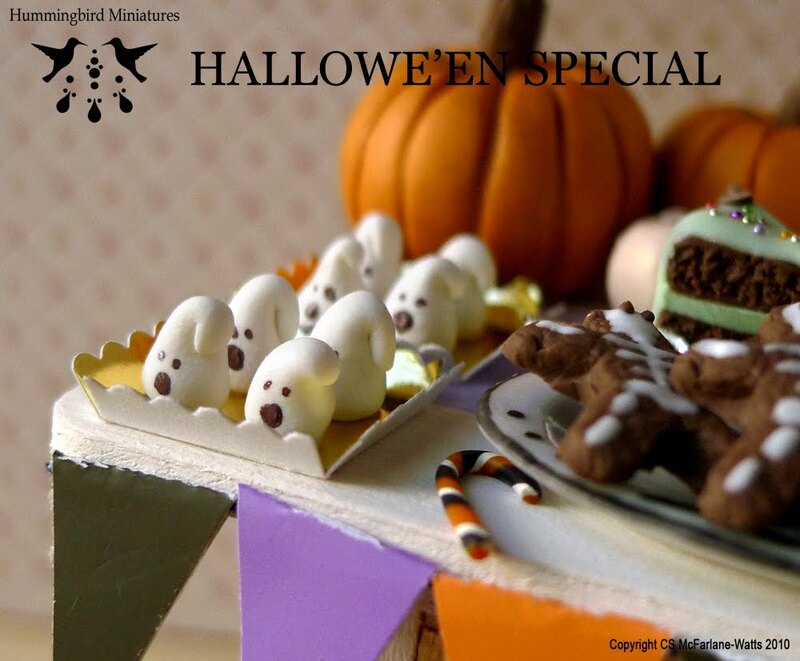 Hallowe'en has arrived for Hummingbird Miniatures! 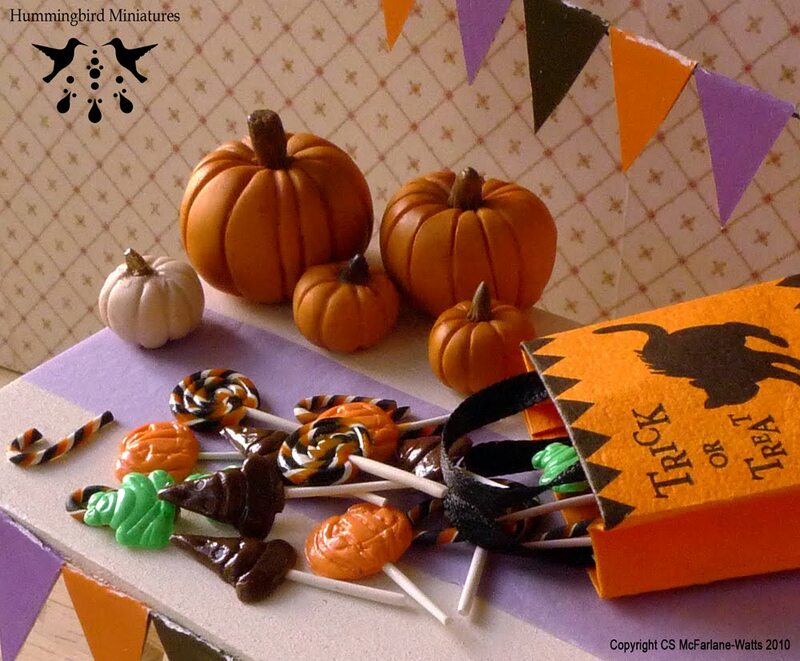 It's my favourite time of year... Hallowe'en! 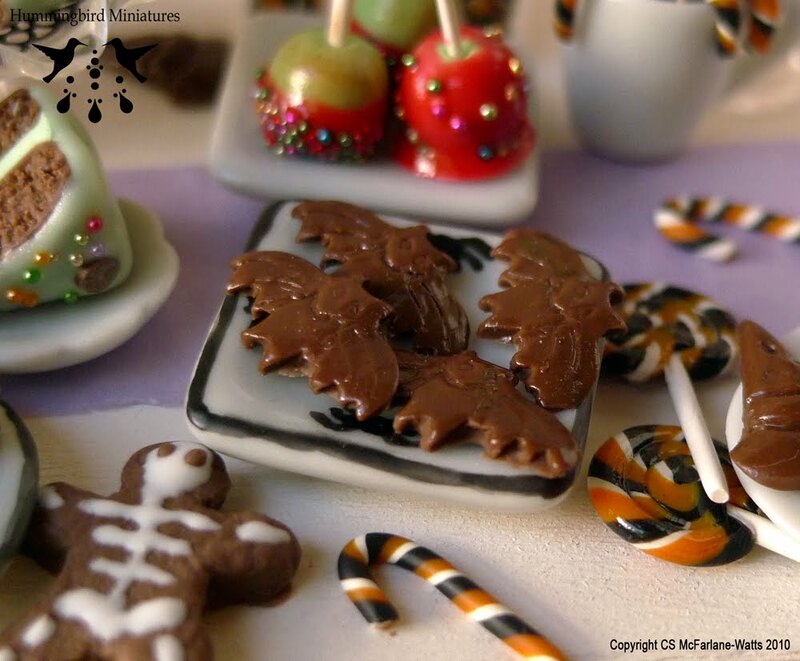 And it's just around the corner, so the worker elves at the Hummingbird Miniatures factory have been working away to create wonders for witches and goodies for ghosts! 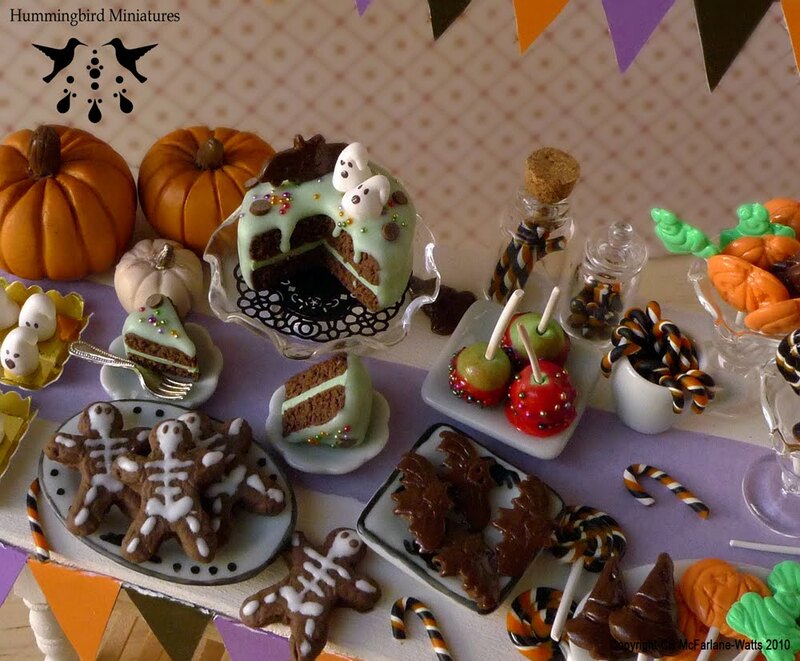 We've made a moist-looking chocolate Hallowe'en cake, candy apples, chocolate bats. 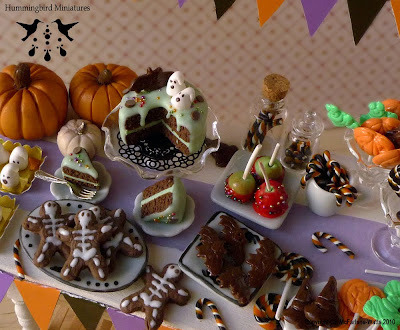 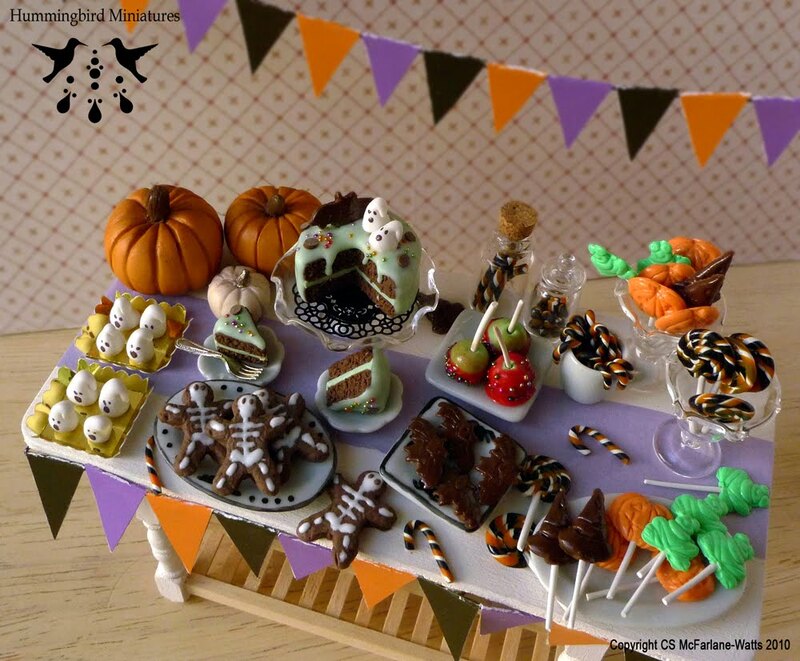 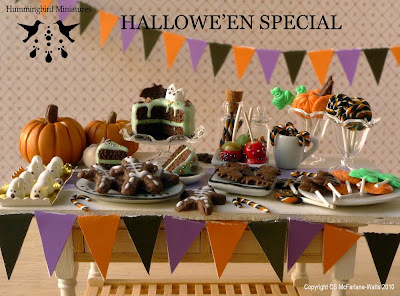 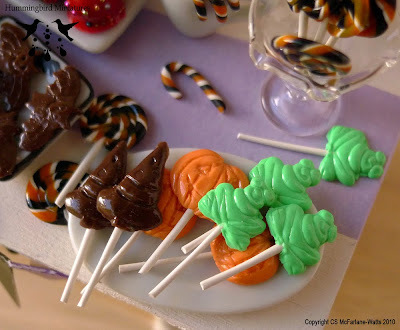 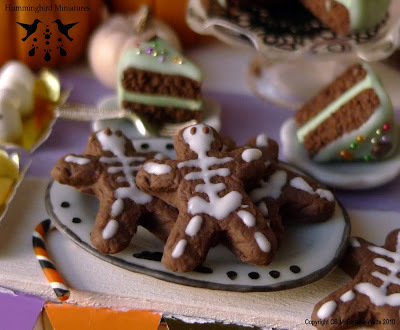 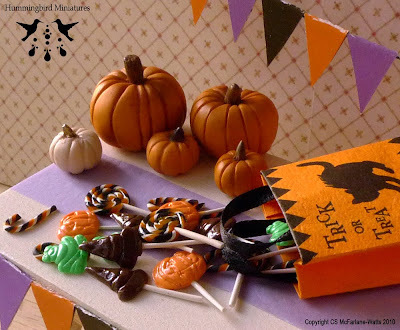 skeleton cookies, trick or treat sweets, candy ghosts and hand painted Halloween dishes! 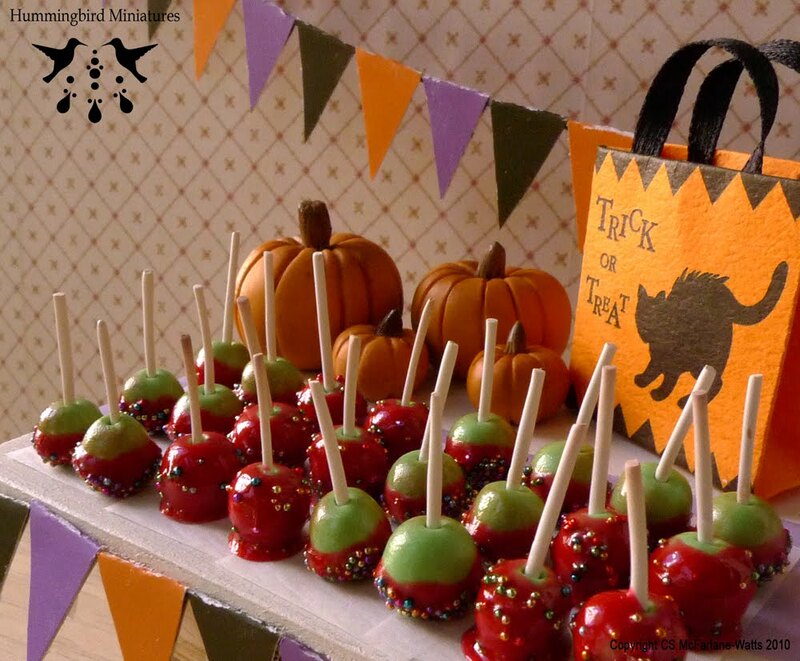 I love your halloween sweets and cakes! 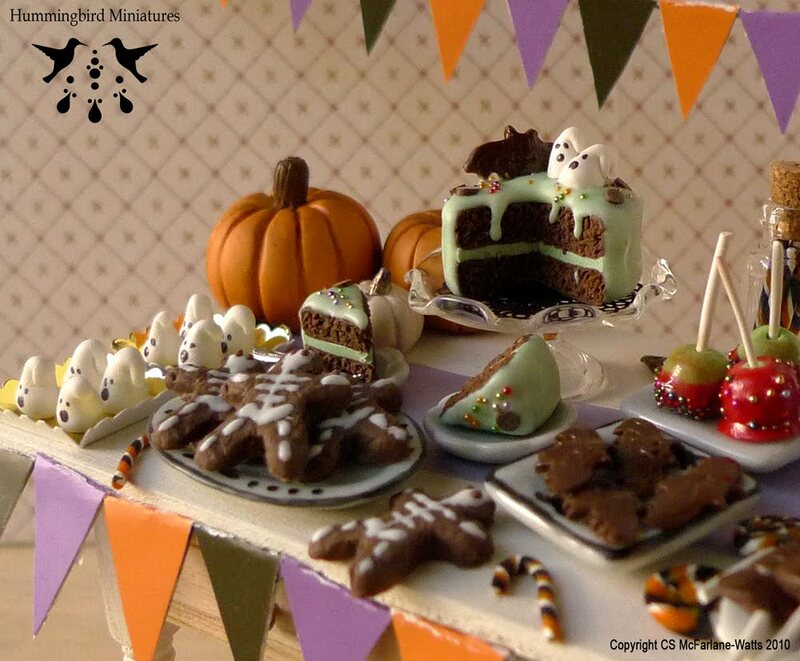 are fantastic! 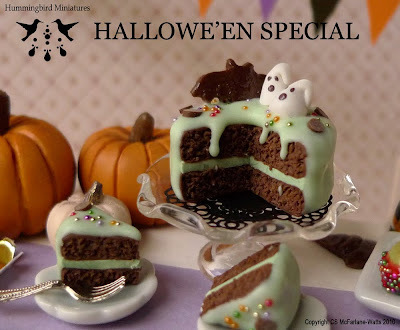 Todos estos dulces están muy apetitosos. Ha sido un placer para la vista tosos. 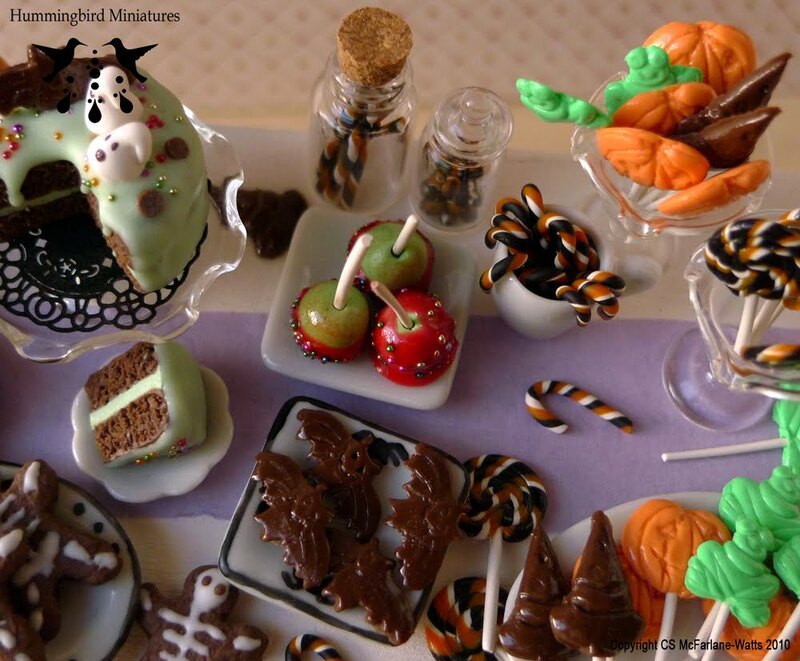 I love your Halloween creations: they're wonderful!